There is a problem that faces a number of women in cities across the country but usually goes unreported. Frankly, until I had conducted the research on this application I had never heard of the prevalent problem of “street harassment”. 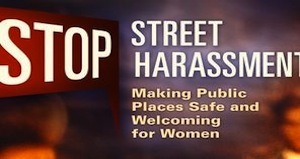 Street Harassment is when an individual, usually a female, is harassed on the streets of any city or town; it may be an unwanted comment, flashing, groping or even assault. In 2009 Violet Kittappa was on a crowded New York subway train when she noticed a man inching towards her. She tried to concentrate on her book and simply ignore him. She then felt a nudge on her leg and the man was breathing heavily in her face. She then noticed the man start rubbing against her. Ms. Kittappa wrote about her experience on ihollaback.org, a website dedicated to stopping street harassment against people in general, but mostly women and members of the gay community. Technology has now enabled women to document such incidents as previous victims have not. Last month Hollaback released its iPhone app (Android app also available) that allows victims of street harassment to report these incidents immediately. The data input is automatically mapped and a follow up email is sent to the user that allows them to enter more detailed information. Similar to social applications the more people that use the application the more effective it will become in combating street harassment and the group hopes to eventually share the information with authorities and identify high risk areas. The app cost upwards of $15,000 to develop and was financed totally from donations of $10 or less and is available for both iPhone and Android for 99 cents. You may be thinking that this is a non or isolated issue but the New York City Council is taking a long hard look at street harassment. In fact, City Council Chairwoman, Julissa Ferreras, a Democrat from Queens, has committed to pursue elimination of this issue. Just to show you the magnitude of the issue Ms. Ferreras visited a high school in Elmhurst, Queens where the female students, instead of requesting new computers or money for sports programs asked her to help stop the mechanics in a nearby garage from making inappropriate comments towards them as the walked by. I sure wouldn’t want my wife, mother, sister or daughters to have to silently accept this type of treatment or be called over sensitive when reporting street harassment. In fact I may just ask my friends to download this app and report street harassment when they are a witness to it when they are out and about. Women don’t put up with harassment in the workplace and they shouldn’t have to put up with it in the public realm either.